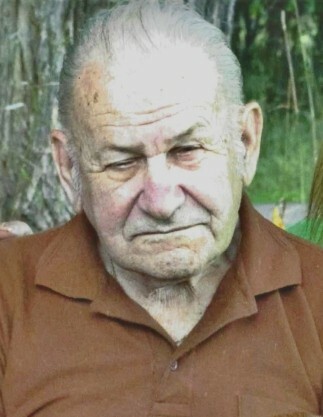 Edward J. Kaskey, 94, of Charlevoix, passed away peacefully in his home on April 9, 2019, where he had resided for 75 years. He is survived by a son Edward Jr. (Greta) Kaskey, a sister Mary Ann, step-daughter Marguerite, 14 grandchildren and many more great and great-great grandchildren. He is also survived by his best friend, Tom Keie, who he enjoyed many years with and had taken good care of Ed during his time of need. Preceding him in death were his wife, Dorothy, a daughter, Donna, and a stepdaughter, Patsy (Emma). Ed is dearly loved and will be missed by all who knew him. Visitation will take place on Sunday, April 21 from 3-5 p.m. at the Winchester Chapel of Mortensen Funeral Homes. Funeral services will be on Monday, April 22 at 11:00 a.m. also at the funeral home with Sara Goldberg officiating. Burial will follow services on Monday at St. Mary Catholic Cemetery in Charlevoix. In lieu of flowers, memorial contributions may be made to the Charlevoix Senior Center, 6906 Norwood St., Charlevoix, MI 49720. There's still time to send flowers to the Visitation at the Winchester Chapel of Mortensen Funeral Homes from 3:00 PM to 5:00 PM on April 21, 2019.